Hi! Did you test the fast published KB and did it work? My users are asked everytime to type in propper e-mail and password. It won’t store their informations from last login. Is this fixed by now? As soon as we enable folder redirection users cant track mails any longer. 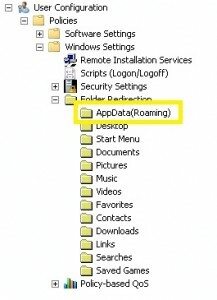 Only disabling appdata doesn’t help, must be disabled completely. We are on Rollup 8 and are still experiencing this problem. We haven’t tested the upgrade to SQLCE 4 yet, but our system works if only AppData is not redirected. Other folder redirection is Ok.
None of these fixes work, MS comes out with all these new things and apparently do not test them with their other products. Such a joke buy sales force.